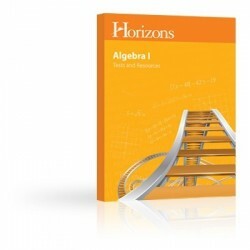 Evaluate your homeschooler's comprehension of algebraic concepts with the Horizons Algebra I Tests & Resources Book from Alpha Omega Publications! Designed for your convenience, this book assesses the information your child has learned to lay a solid foundation for upper-level math. Each page is perforated for easy removal and includes bi-weekly tests, quarterly exams, and 80 review worksheets that can be used for additional practice or as extra quizzes.